Slip and fall accidents are one of the most common ways Ontario residents get injured. An unexpected fall can have unexpected injuries that range from cuts and bruises to serious fractures. In extreme cases, brain and spinal cord injuries can cause severe impairment to the injured victim. Even though slip and fall accidents are common, the claim process for the resulting injuries is anything but easy. There are a lot of misconceptions when it comes to slip and fall claims, and the process of filing a claim against the responsible party is often complicated. The most common misconception is that the victim is supposed to automatically receive compensation for his injuries. For you to receive compensation you have to meet strict notice requirement to the at-fault party; the period can be as short as ten days for a municipality. Often unrepresented victims get the run-around, as different entities try to blame each other for the slip and fall of the victim. If you were injured as a result of snow, ice, or substandard pavement conditions, you deserve compensation. 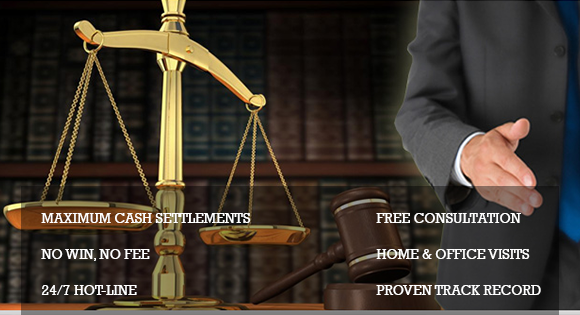 Our legal team will protect your rights, investigate the facts, and get to the truth. The experts at BE Personal Injury Lawyer have decades of experience successfully pursuing responsible parties and obtaining compensation for slip and fall victims from all over Ontario. If you or a loved one was injured as a result of a negligent property owner, contact BE Personal Injury Lawyer and put our legal team in your corner. We will ensure that justice prevails.